On top of providing the best possible summer camp experience, the health, safety, and well-being of our campers is our number one priority. Our state of the art infirmary is equipped with everything that campers need to feel safe and secure. Our emergency room nurse Bonnie, who has been with CBB for over 30 years, is always at the helm of our infirmary. Doctor’s clinics are held a minimum of twice daily and in case of supplementary emergency needs, Ste. Agathe Hospital is within 10 minutes of camp. Our medical team, including the local hospital and doctors, is there to make sure that your child is both healthy and safe. If there is any medical intervention involving your child, you will be notified immediately. Any camper or staff member will be attended to at all times while taken to the hospital. We have 2 fully Glatt Kosher kitchens (one dairy – one meat). Both kitchens are nut-sensitive and there are always alternative options available to those that are vegetarian, vegan, and lactose intolerance, and gluten intolerant. We have a team that ensures that are food sensitivities and allergies are attended to with proper substitutions. 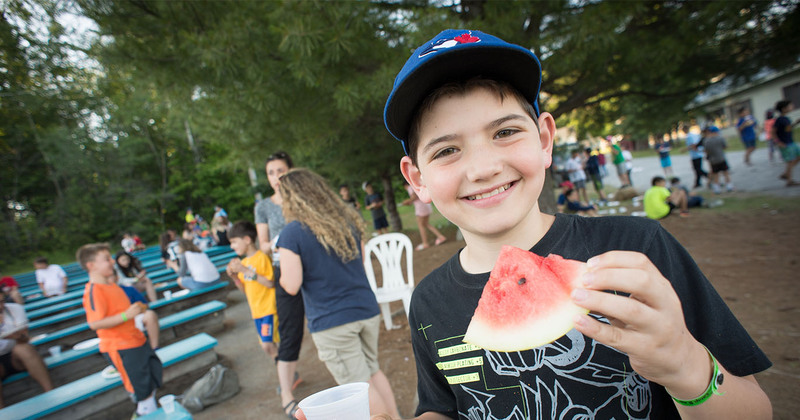 All the while, our fabulous chefs and kitchen staff will always make sure that there is another option for campers that don’t particularly enjoy a certain meal. Soy nut butter, jam, and bread are also always available at every meal along with a variety of fruit. Every morning at breakfast we have our breakfast bars that provide a wide-range of fruits, yogurt, granola, cheese, and breads. We also provide oatmeal and toppings on certain chillier mornings. For lunches and dinners, the buffets are transformed into salad bars with fresh ingredients on a rotation so that your salad never gets boring. Campers have the options between many different vegetable and proteins, as well all some prepared salads and meal alternatives. Supervision is an incredibly important aspect at camp and vital for a positive environment and enjoyable experiences for each camper. Each bunk has 3 or 4 staff that live within that bunk and are responsible for supervising that campers at all times. At least one staff member remains in the bunk, on duty between the moment that campers are required to be in their bunks in the evening until they are woken up in the morning. The CBB philosophy of supervision is based on appropriate, supervision at all times. This includes activities, meals, programs, out of camp trips, informal and free time activities. Our staff are the very best in the business, and our selection process is extremely competitive. We demand trustworthiness, enthusiasm, creativity, responsibility, and dependability from our staff. 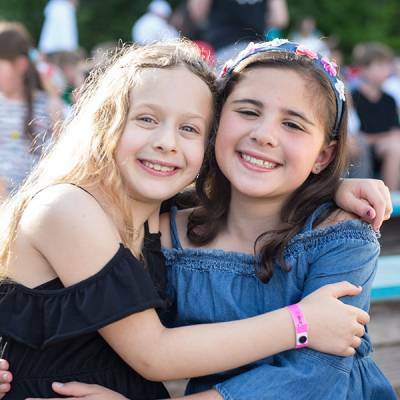 The ability to adapt to a variety of situations, function under pressure, work well with others, and care for children are important characteristics for all of our camp staff. We look for individuals with a strong self-image, outgoing personality, fun nature, and demonstrated leadership capabilities.